VERNON, NY- An action packed night of racing this past Sunday, July 8, saw Jimmy Phelps claim the $6,000 to win Freedom Fighter 100 for the Super DIRTcar Modified Series on Clinton Tractor and Broedel Energy night, while Matt Tanner became the fifth different winner in the Donath Motor Worx Lucas Oil Empire Super Sprint Central New York Speedway finale. Matt Janczuk took the win the Broedel Energy Sportsman main event. Jimmy Phelps and Danny Johnson led the 31 car Super DIRTcar Modified Series field to the green flag with Phelps jumping out to the early lead. Third place starter Pat Ward grabbed the runner-up from early only to have Johnson regain the position on lap five as he set off after Phelps. Phelps set a torrid pace as he continued to lead the way with Johnson, Ward, Billy Dunn, and Alan Johnson all battling for top five spots. 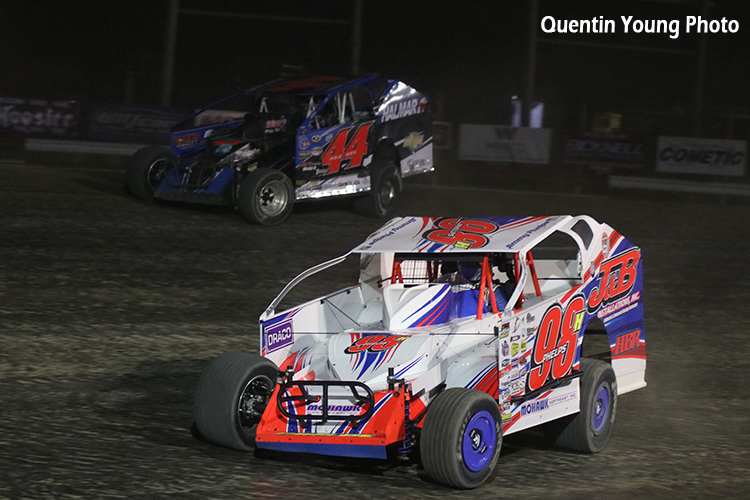 The driver on the move was 11th place Stewart Friesen as he quickly moved up to the sixth spot by lap five as he looked to add to his win total as the all-time winner at the Utica-Rome Speedway. A lap 13 caution would bunch the field, and on the restart, Phelps would continue to lead with Friesen continuing his charge. With 20 laps complete, the leaderboard showed Phelps over Danny Johnson, Friesen, Dunn, and Larry Wight. Friesen grabbed second on lap 21 and then set his sights on the leader. The second caution of the night came out on lap 29 for a disabled car, which put Friesen alongside Phelps on the restart. When the green lights came back on, Phelps maintained his position out front as he ran the lower line while Friesen rand the extreme top lane of the half-mile oval. For the next 15 circuits, the duo would battle for the lead with Friesen nipping Phelps at the line to lead lap 44, only to have Phelps retake the spot a lap later. A pair of yellows slowed the pace at the midway point of the 100-lap main, and when the field returned to racing speed, Phelps again jumped out front with Friesen giving chase. Friesen’s bid for the win came to an end on lap 70 as he jumped the cushion and slipped of the track in turns one and two. When he recovered and came back on to the racing surface, Friesen had fallen back to the fourth spot as Danny Johnson and Dunn took advantage his miscue. On lap 82, the yellow light again came on for a stopped car on the racing surface which again brought Phelps back to the field. The restart again saw Phelps prove to be too strong as he again pulled away only to have his advantage erased for the final yellow on lap 90. Danny Johnson tried to keep pace with Phelps when the green lights came back on but Phelps was too strong. Phelps would race off to claim his first series win since 2016, with Danny Johnson, Rudolph, Matt Sheppard, and Dunn rounding out the top five spots. Ward, Friesen, Max McLaughlin, Marc Johnson, and Peter Britten filled out the top 10. Matt Tanner capped off a busy week for the Lucas Oil Empire Super Sprints as he took the win in the final night of the Donath Motor Worx Central New York Speedweek. He held off Danny Varin and Chuck Hebing to become the fifth different winner in five events. For the second consecutive year, Danny Varin claimed the Speedweek championship. See the official Empire Super Sprint release for complete details. Taylor Lamb would lead the first half of the 20-lap Broedel Energy Sportsman nightcap from his pole starting spot, only to have 13th place starter Matt Janczuk take over on lap 11. Janczuk would survive several cautions to race off to the win ahead of Kyle Inman, 25th place starter AJ Miller, Lamb, and Dave Moyer. Next Sunday, July 15, A-Verdi Storage Containers and Wilber Duck Chevrolet presents a PICK 4 show featuring the DirtTrackDIgest.com 358-Modifieds, Broedel Energy Sportsman, Ted’s Body Shop Pro Stocks, and Rookie Sportsman plus Autograph Night. 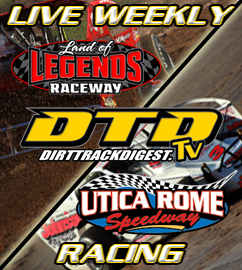 Gates will open at 4 p.m. with racing starting at 7 p.m. For more information, log on to www.uticaromespeedway or call the speedway office at (315) 829-4557. Utica-Rome Speedway can also be found in Facebook and Twitter. SUPER DIRTCAR SERIES FREEDOM FIGHTER 100 MODIFIED FEATURE FINISH (100 LAPS)-JIMMY PHELPS, Danny Johnson, Erick Rudolph, Max McLaughlin, Matt Sheppard, Billy Dunn, Larry Wight, Pat Ward, Marc Johnson, Peter Britten, Mat Williamson, Billy Decker, Tim Fuller, Rocky Warner, Jack Lehner, Matt Farnham, Rob Bellinger, Rich Scagliotta, JF Corriveau, Adam Roberts, Billy Whittaker, Brett Hearn, Rusty Smith, Stewart Friesen, Bobby Varin, Demetrois Drellos, Dave Rauscher, Alan Barker, Kyle Coffey, Alan Johnson, and Andrew Ferguson. 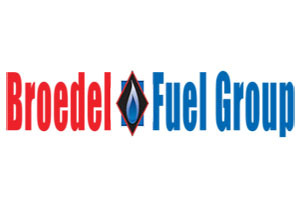 BROEDEL ENERGY SPORTSMAN FEATURE FINISH (20 LAPS)-MATT JANCZUK, Kyle Inman, AJ Miller, Taylor Lamb, Dave Moyer, CJ Castelletti, Rocco Leone, Tyler Corcoran, Chris Cunningham, Charlie Tibbitts, Jeff Taylor, Alan Fink, AJ Digsby, Justin Buff, Casey Cunningham, AJ Filbeck, Andrew Buff, Jeremy Nestved, Skyler Greenfield, Dorian Wahdan, Mark Effner, Brad Alger, George Dyer, Stephen Denton, and Ben Bushaw. LUCAS OIL EMPIRE SUPER SPRINT SPEEDWEEK A-MAIN (25 LAPS)-MATT TANNER, Danny Varin, Chuck Hebing, Cory Sparks, Mike Mahaney, Larry Wight, Bobby Varin, Jordan Poirier, Jason Barney, Shawn Donath, Paulie Colagiovanni, Coleman Gulick, Billy VanInwegen, Dylan Westbrook, Matt Billings, Josh Pieniazek, Chad Miller, Jonathan Preston, Jeff Cook, Yan Bilodeau, Keith Granholm, Brett Wright, Ed Strada III, Paul Kinney, Mark Smith, and Steve Poirier.